Simple image page viewer. GIF(animation) / PNG (APNG) / TIFF(multipage such as FAX) is supported. 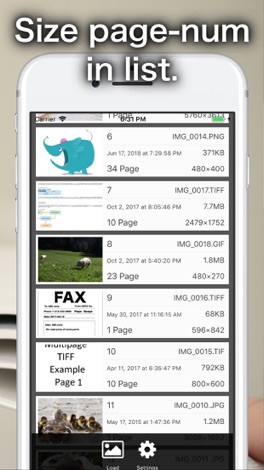 Please use this app when you want to see pages in the picture or save page to indivisual image. 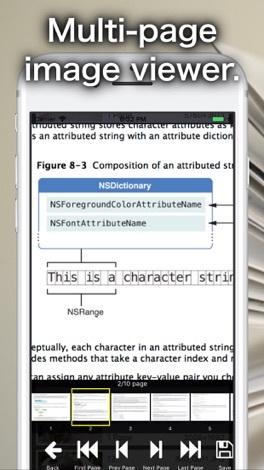 It can convert the image to PDF with password. 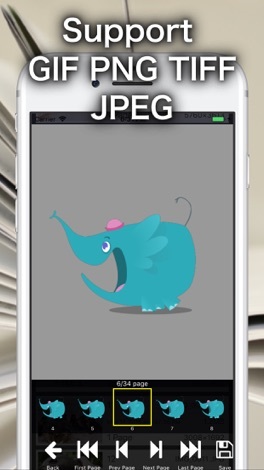 - You can see images saved in iOS album. 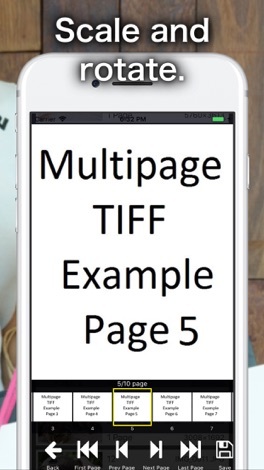 - Animated GIF, APNG, multi-page TIFF pages can be displayed. Of course you can also display JPEG photos of only one page. - Enlarge / reduce / rotate. - You can check the width and file size information of the image in the list. - Try out the function of saving images with passwords PDF and TIFF pages. If you purchase the function you will be unlimitedly available. - When viewing images received by e-mail or browser, please save to album once and see with this application. SAYMON application allows you to connect to your SAYMON monitoring service and view current status of servers and websites you are monitoring. To use this application you need a SAYMON account. Learn more at http://www.saymon.info.